The thrill of the circus was a welcome distraction to lift the spirits of people of the 1930’s, who were so busy trying to eke out a living. Television wasn’t around yet, and radio broadcasts were not a common mode of entertainment, either. This is why so many stars and performers of big (and not so big) traveling circuses were real celebrities. Oftentimes, a city would turn into a ghost town when a circus would visit since everyone flocked to see glamorous and strange sights, buy special candy treats, and watch exotic animals do unimaginable stunts. The world was brought to their doorsteps. 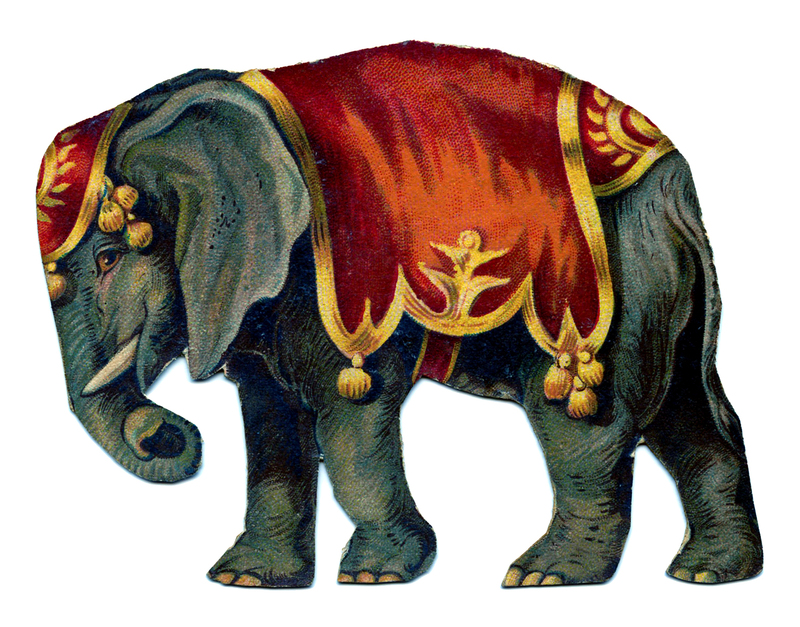 However, all the glitz and mystery of a circus trying to survive in the year 1931 can also hide a dark reality, as addressed in Sara Gruen’s book “Water for Elephants”. There was an adaptation of the book onto film in 2011, and, as I haven’t read the book, I know nothing of how close it is to it’s original story, but the movie was done well in my opinion. 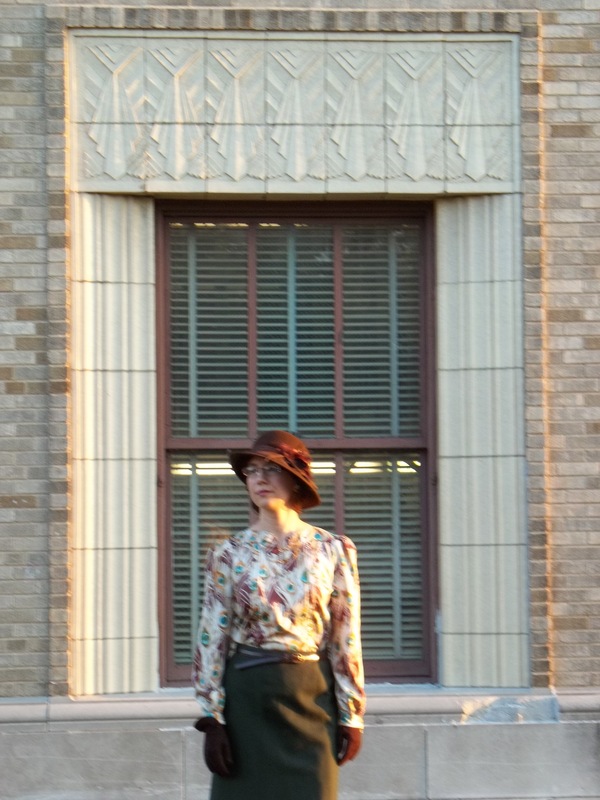 Reese Witherspoon’s character wears the most fabulous early 30’s fashions, which inspired me to make my own version of one dress and plan on a few more. WEAR AGAIN? Definitely! I can’t wait to find another reason to wear this elegant dress! 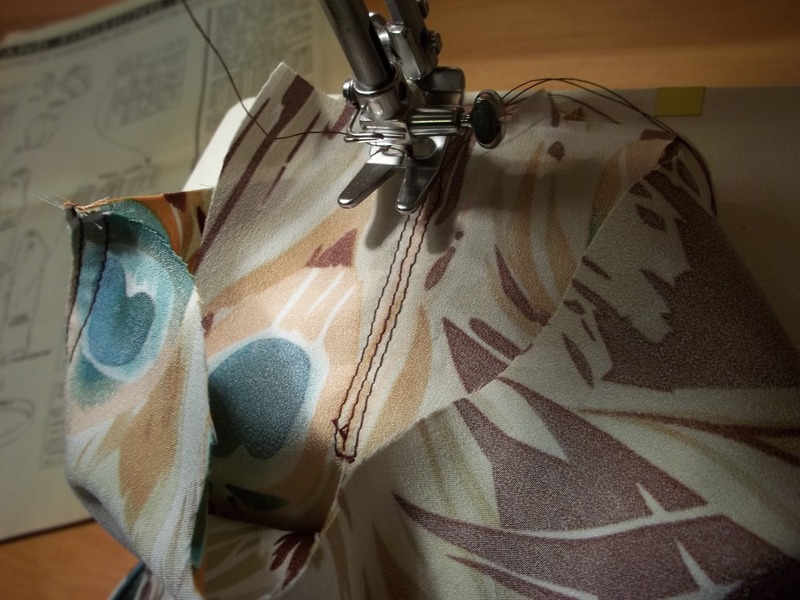 The major addition/change to the dress pattern are the large triangular godets that I added into the side seams to replicate the fullness and shape of the original movie dress. 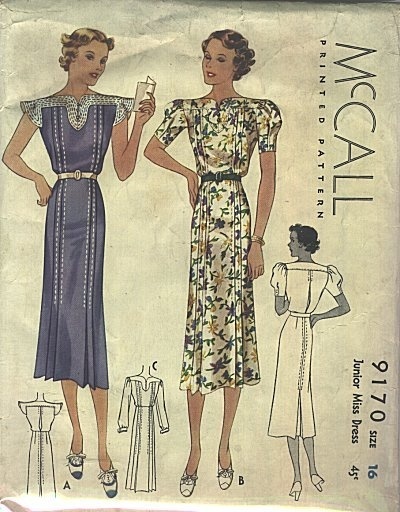 I used the pattern piece for the godets from my precious Simplicity 75th anniversary #5876, made already last year (click here for pics and link). I made sure the godet points hit right at/under the hip line, but I wanted them low enough to give room for me to add a zipper (which you can kind of see in the picture above). Measuring 3 1/2 inches down from the side tabs of the skirt pieces was the perfect meeting spot for the godet points, and boy did those tricky corners turn out well! I know the movie dress actually has side godets that are shaped like an upside down U, probably so they hug the hips while pulling the dress in. Figuring how to adapt for those U-shaped godets wasn’t worth wasting time not working on getting it done. I LOVE how the side godets make my dress sweep out and flow around me when I walk. It is the most feminine and fun feeling! Other than the godets, I really did no other changes to the design of Simplicity 2580; however, I did think outside the box in a few ways. 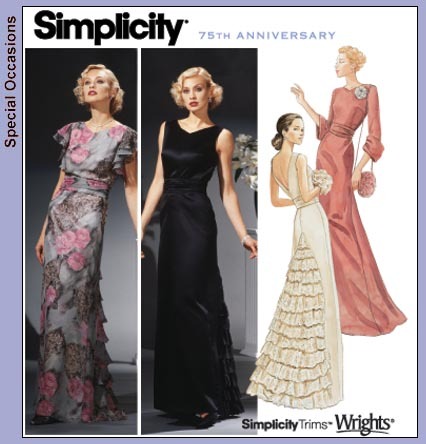 First of all, notice that Simplicity 2580 is dresses “designed for stretch knits only”. Oh, whatever! 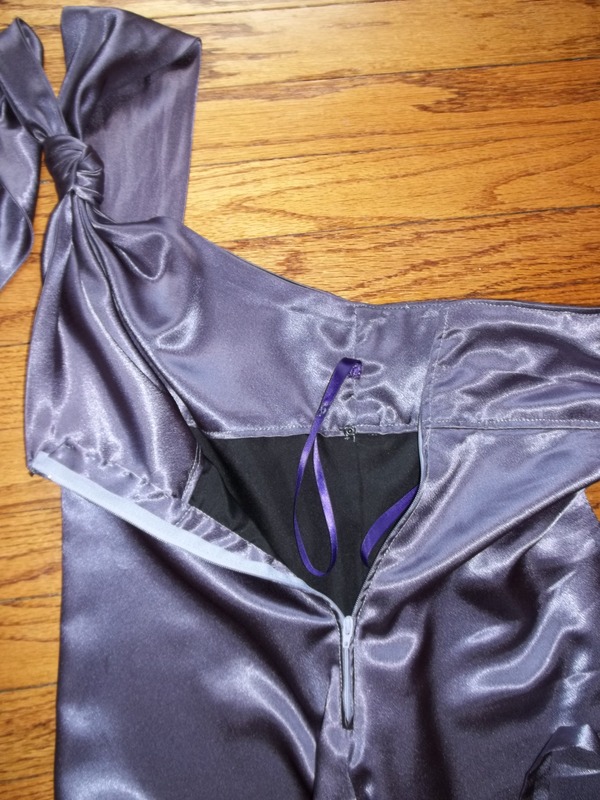 I simply went up a size to accommodate for the ‘no-stretch’ satin, and made some small fitting adjustments near the finishing point. That’s why I added a zipper along the left side. 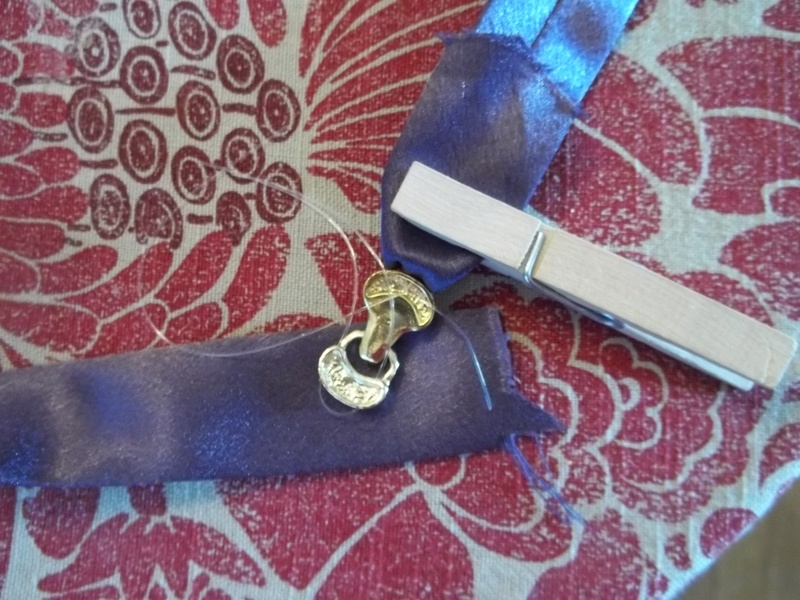 For the knot, I took both tie ends that are supposed lay down across the chest, and tied them both in a nice knot, as low to the bodice as I could, with the ties in pleats to create nice folds. 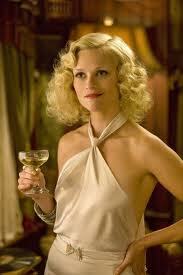 THEN I could tie the ties around my neck and look just like Marlena in “Water for Elephants”. The original movie dress has much better drape than my version – but I really believe she must have used fashion tape to keep from showing off a side peek of a little something. 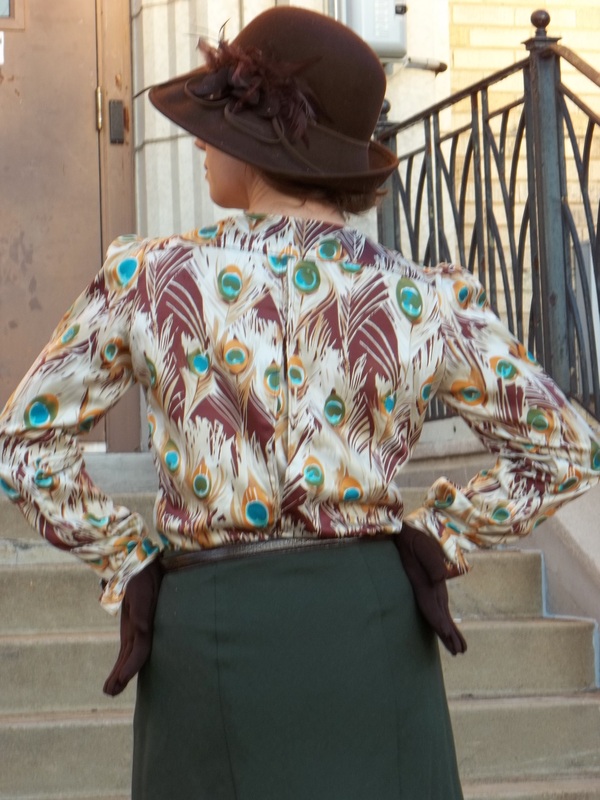 I was willing to dip the back lower to get closer to the movie, but I was unwilling to deal with a dress that did not want to cover the front of my chest. Just can’t win ’em all! 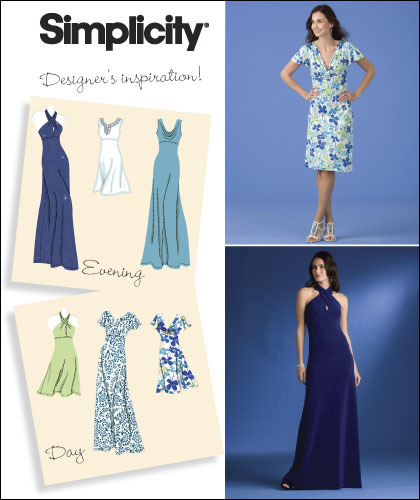 Simplicity 2580 was a great pattern to work with and surprisingly simple. View E, the one I used, only had 4 pattern pieces. If I do make this pattern again, and I hope to soon, it might not be made out of a knit. I will give you my word of warning – it is an unsupported dress. 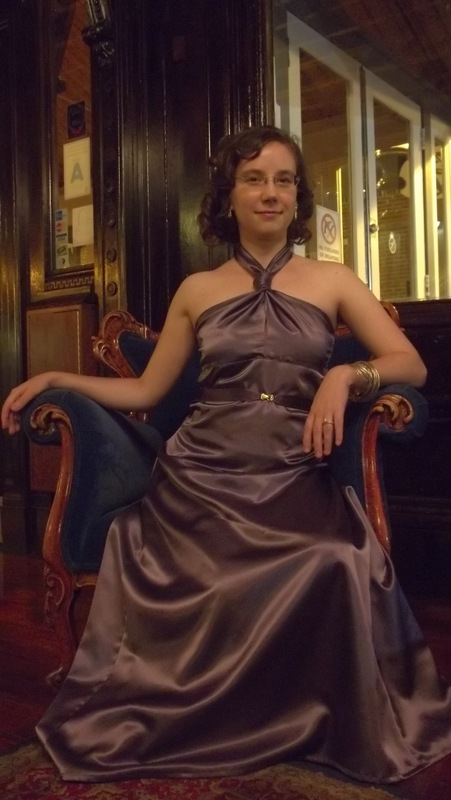 When 3/4 of the fabric of the dress is not part of the bodice you are set out for a possible problem. I’m glad I discovered this on a woven. 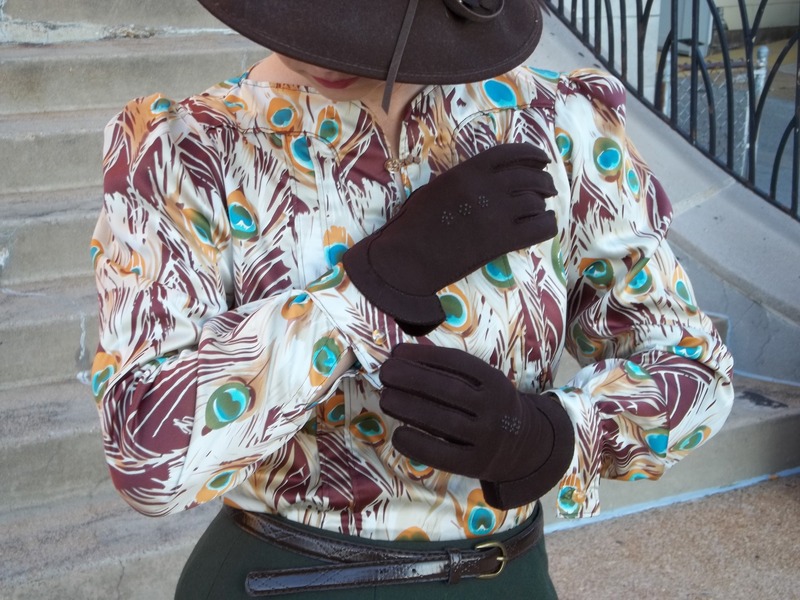 Make sure to add seam web or interfacing or something along the edges and seams if this pattern is ever made out of a knit. The back of the dress has elastic sewn into the top (although it didn’t do too much gathering as it’s not a knit). One of these days I might go ahead and have a cut at refashioning the back of this dress, reshaping it and taking out the unnecessary elastic. 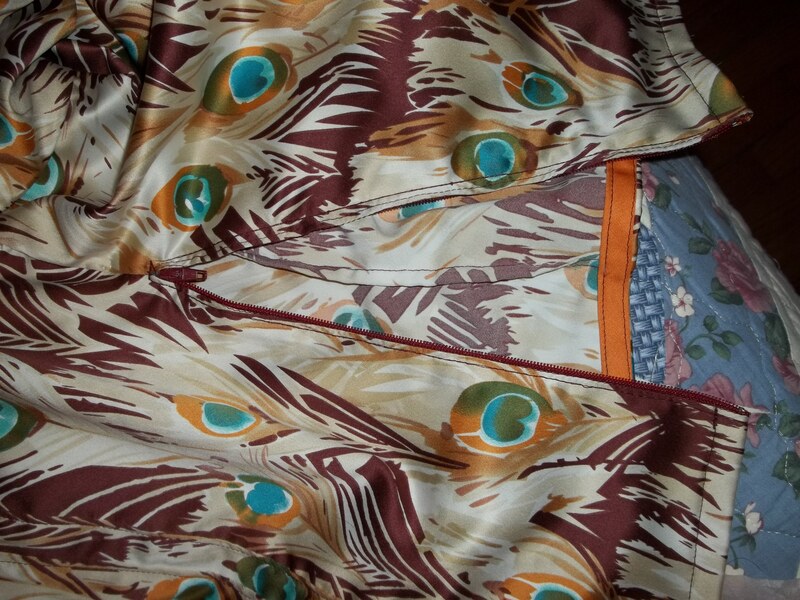 You would be impressed looking at the insides and details of my dress (pic below). The bodice has a self- fabric facing that lines and doubles up the bodice, covering up all of those seams especially the skirt/under bust seam. Then I went to the trouble of a separate lining for the entire skirt. 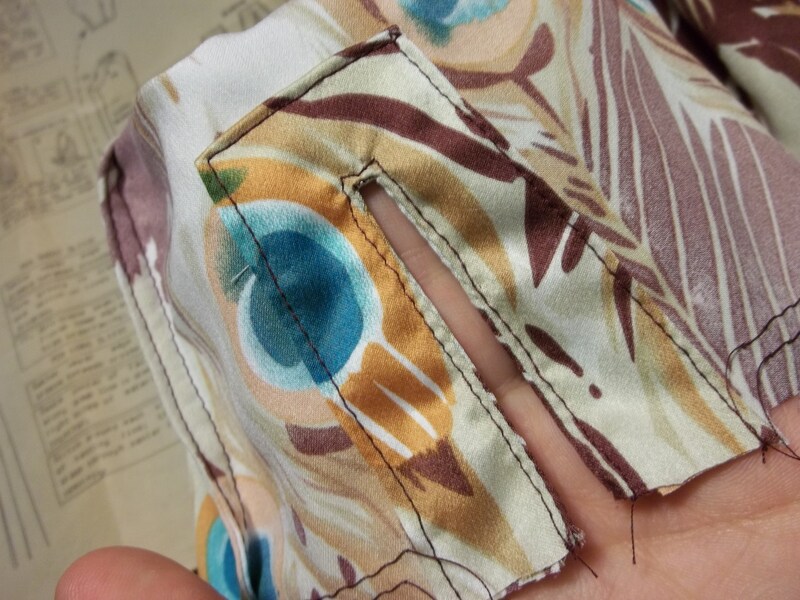 Hand stitching tacks down the inside zipper edges to the lining. I steamed and ironed the entire bodice -ties and everything- to avoid having to top stitch anywhere and ruin the smooth finished look. 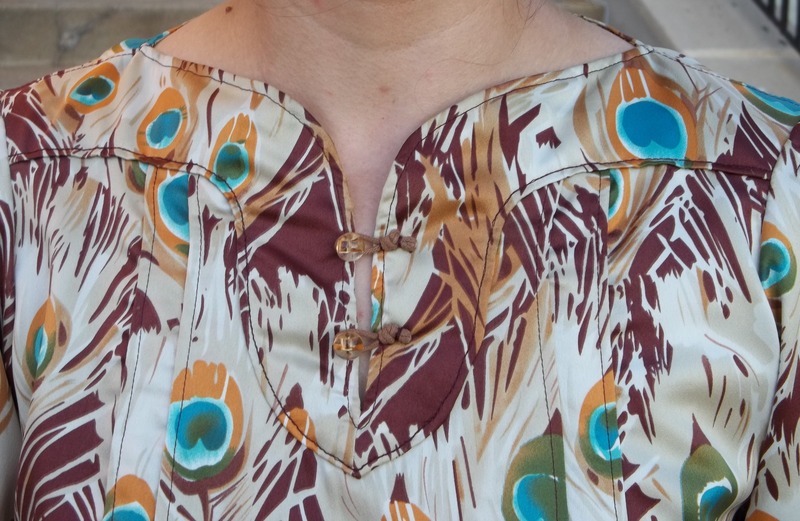 This is the first garment I have made which I can be proud is finished well AND lacking in top-stitching, excepting the bodice seam where I stitched “in the ditch”. 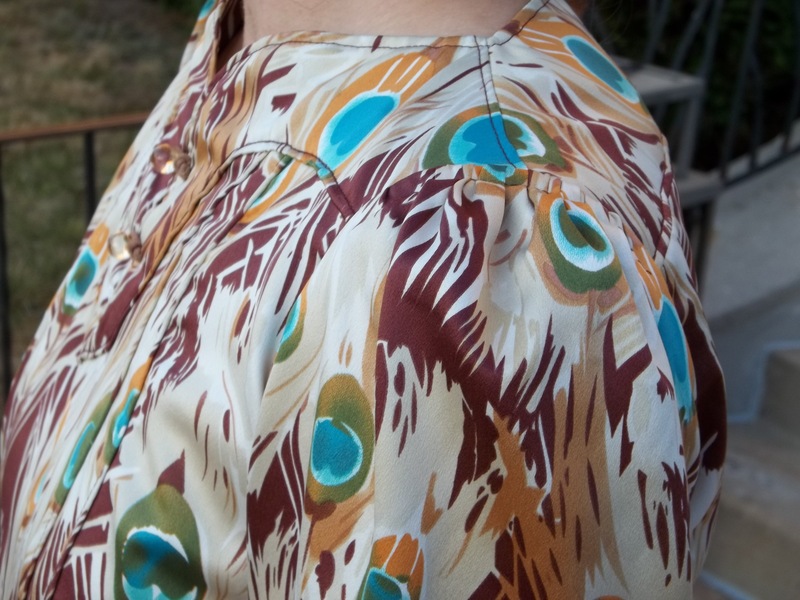 I did so much ironing on this dress in between sewing…I finally got hubby to iron the hem. A good idea came to me when I added the hangar loops into to the sides. The ribbon loops have snaps sewn on them, snapping down where the lining starts so they wrap around the sides of my strapless bra. Thus the ribbon loops have the dual duty of hanging and keeping my dress from drooping, while staying tucked away out of sight. Ahh, don’t forget my belt! I am proud of how I made things work in this case. Selection is almost zero when it came to looking for a vintage or even Deco style belt/clasp style for my belt in a gold color. Then, I happened to be looking for beads and ran across this beautiful, detailed clasp for bracelets. It has a hinge type system that utilizes a strong magnet – very cool! The bracelet clasp only had 3 holes along the edges, so I treated it as a bracelet and strung clear stretchy cord through and around the 2 outer holes a few times, then tied it off, sealing it with nail polish. 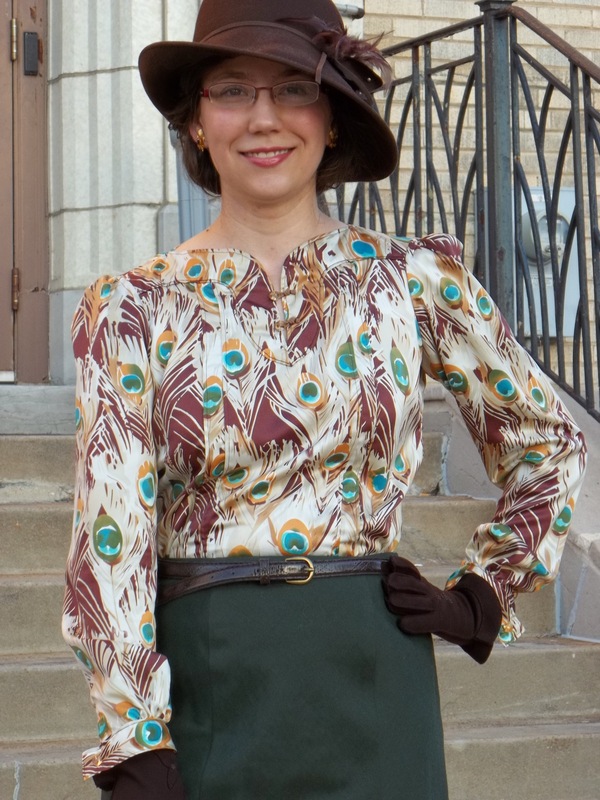 Whatever pattern was upstairs nearby was the one I used to make my belt – it happened to come from a vintage Butterick #5281. 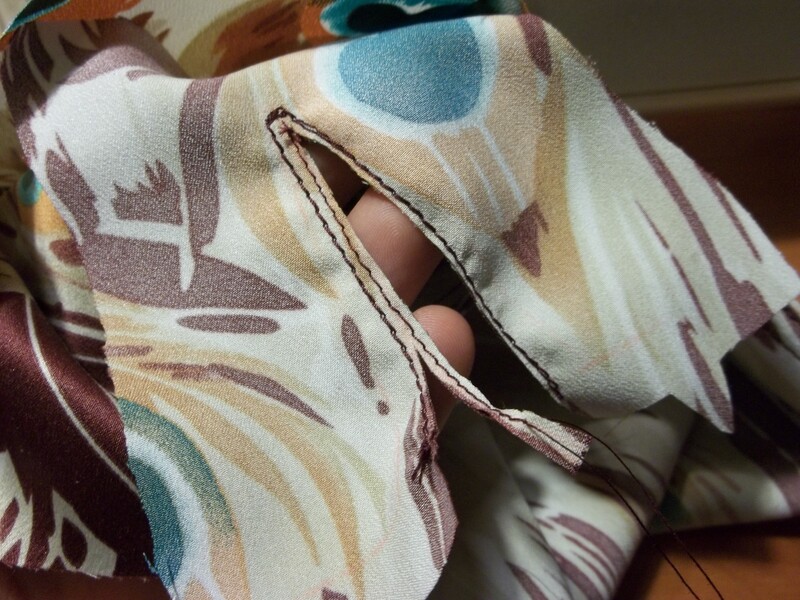 I sewed wide seam allowances so I would end up with a skinny belt. Here, again, I ironed the belt in lieu of top stitching. 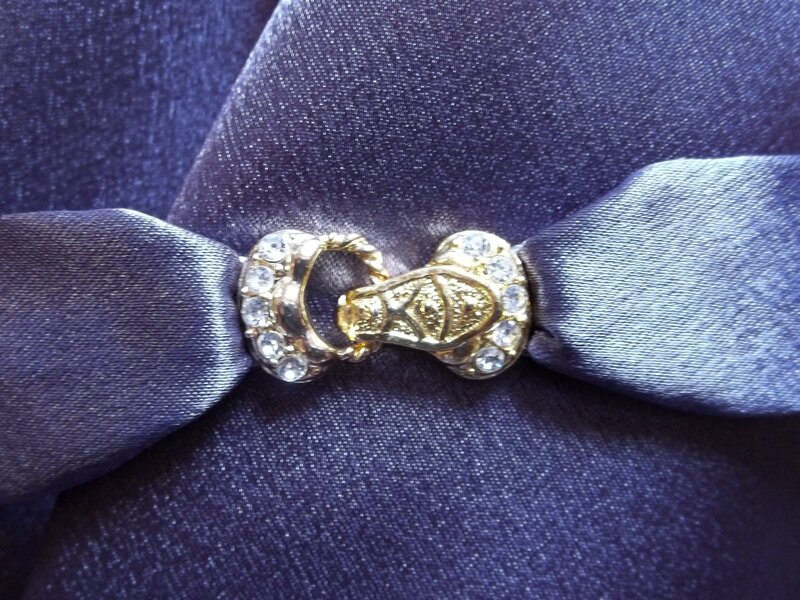 The belt ends were folded in, pulled through the stretchy elastic cord loops at the ends of the clasp, then both ends were tucked under and hand stitched in place. Using the stretchy cord is the best thing ever, and I plan on doing a belt like this again – the way it gives when needed makes for a comfy and never confining belt. 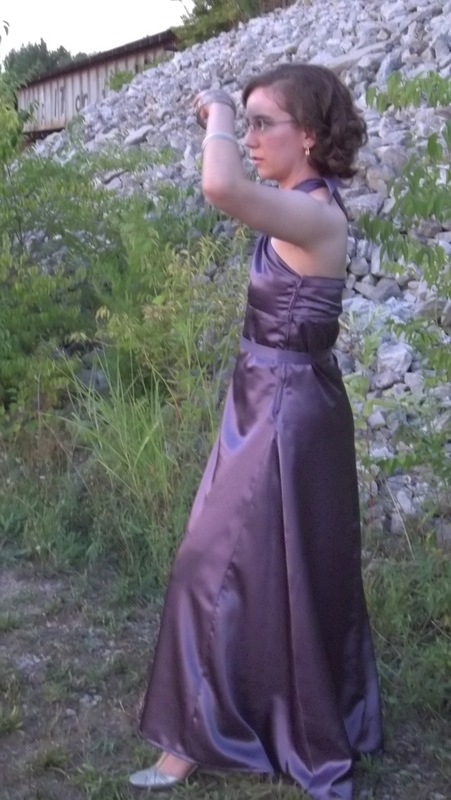 My dress is hemmed so that, with heels on, the bottom back barely sweeps the ground. The front skirt panel was hemmed up 6 inches, the back skirt panel was hemmed 3 inches, and the side godets slope in between the different lengths. 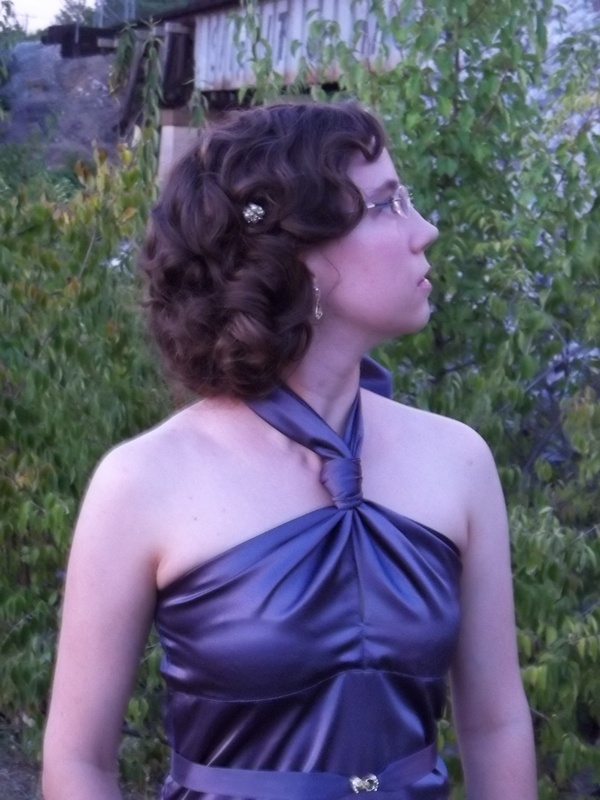 This dress didn’t seem formal enough for a train to follow behind me and pull the bodice down. Most of our photos were taken outside along an old railroad bridge. I think it seems a bit connected to the movie; their circus train was the only ‘home’ they had when they were always on the move, never able to settle down. Now that I have bored you with enough sewing construction chatter, I will share with you a few really neat and thorough web links if you want to read some real, first-hand history of the circus in the 30’s. You can even see pictures of the real Rosie the elephant, and read how she was the golf caddy for President Harding. Here is “The Struggling Circus”, which focuses on Missouri facts, and here is “Awesome Stories”, which seems very documented. 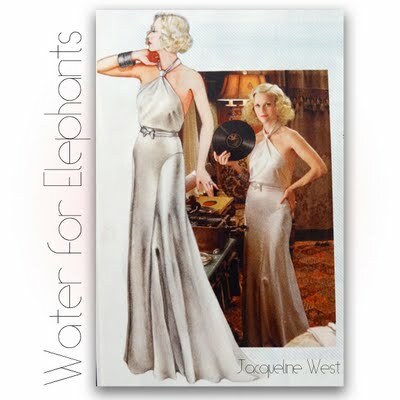 There is a brief glimpse of the knot-neck halter dress in the “Water for Elephants” movie trailer, click here if you want to see it for yourself. 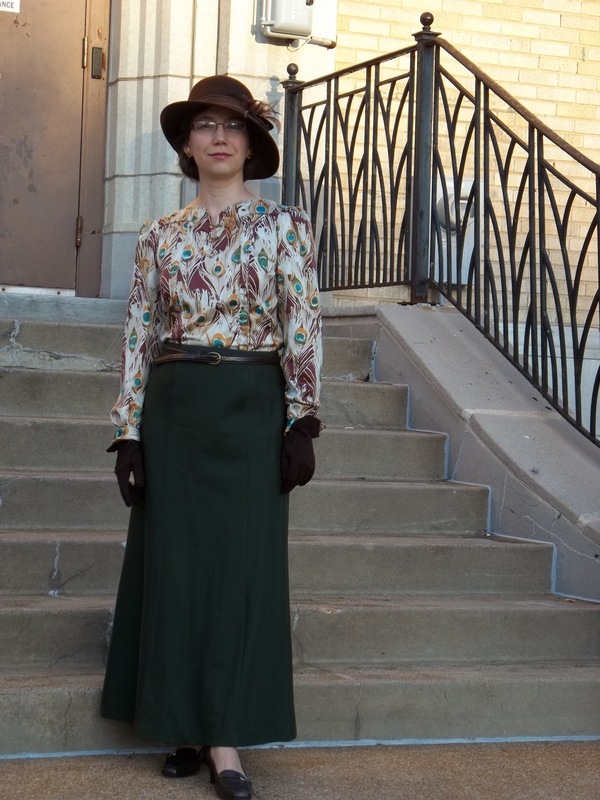 There are more pictures of the details of my dress on my Flickr site, Seam Racer, link here. Since this is the kind of dress I hated to take off at the end of the night, we had fun taking plenty of pictures. 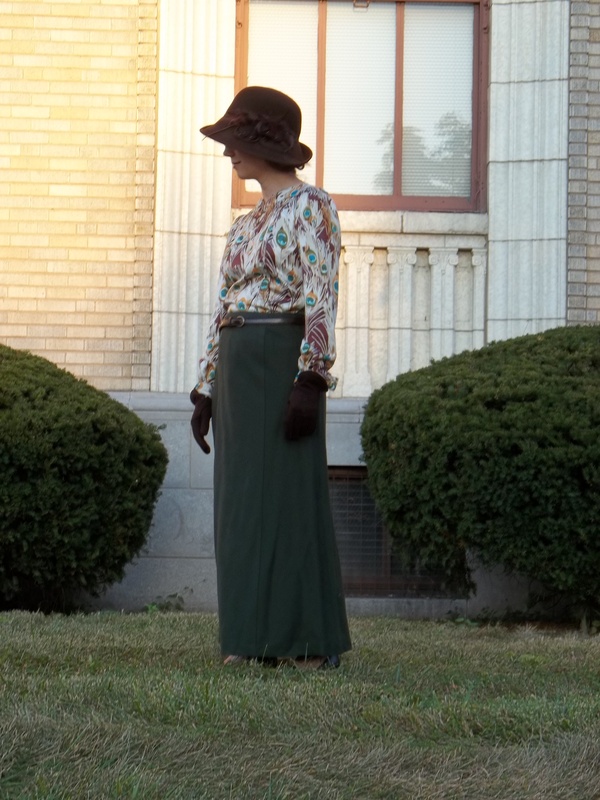 Look for more fashions from the movie coming soon to my blog!